I want to thank you the support of you and your team throughout the loan approval process. It was an incredibly smooth process. In fact, I was amazed that we were able to close a week early giving me a little more time to prepare for the move. It was a pleasure working with your team! Tobias Team! I can not thank you enough for all the hard work you did for me. I couldn’t have asked for a better home buying process. I know I wasn’t a money making client, but your efficiency and courtesy allowed me to now be an official home owner. Thanks again!! Everyone there at the Tobias Team is wonderful and a great pleasure to work with. I would have never thought the mortgage process could be so smooth. You are fabulous and I will definitely be spreading the word. Please be sure to pass this on to everyone else that works behind the scenes, as they are just as important! Thanks!!! 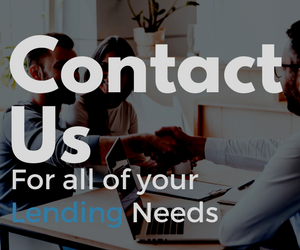 The combined skills and over 30 years of experience that make up the Tobias Team has created a group that specializes in creative financing and originating approvable loans. This can be done through the strong base that Fairway Independent Mortgage Corporation provides, with in-house processing, underwriting, and funding, all available at their disposal.